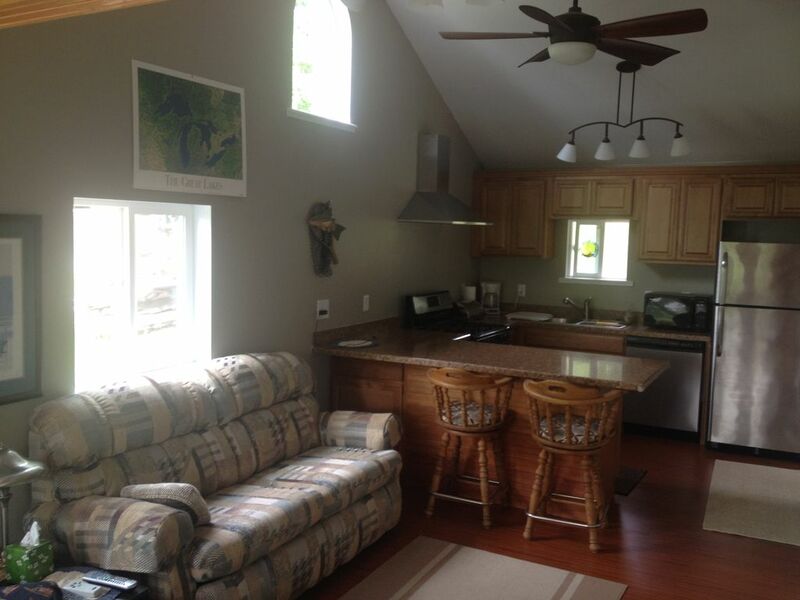 Year round vacation rentals in the Pinckney Recreation Area. Special rates for direct bookings available. Come explore the highly desired Halfmoon Chain of lakes and go for hours and never pass the same shoreline. The deep lakes offer wonderful swimming, boating, kayaking, canoing and fishing opportunities. Over half the shoreline of this chain is owned by the State of Michigan, making these lakes much less developed than other lakes in Southern Michigan. The natural beauty and scenery rivals that of Northern Michigan (without the drive). 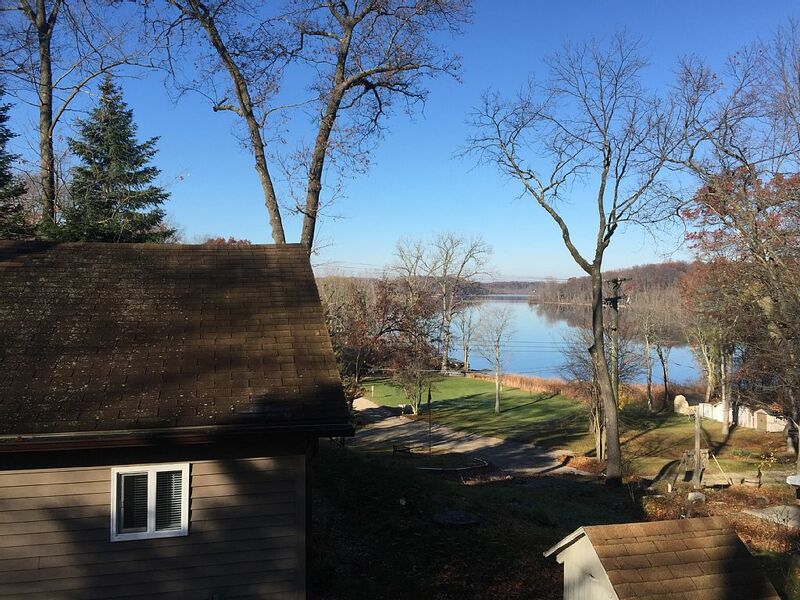 Located in the center of the Waterloo/Pinckney recreation area the surrounding area encompasses thousands of acres of pristine forest land and many trails open to the public including the Potawatomi Trail and the Waterloo–Pinckney Trail. Trails pass through oak and pine forests and glacial features such as eskers and kettle lakes and through swamps and open meadows remaining from fallow farms. 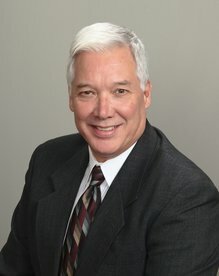 The trails offer some of the best hiking, cross country skiing, mountain biking and hunting in the State of Michigan. 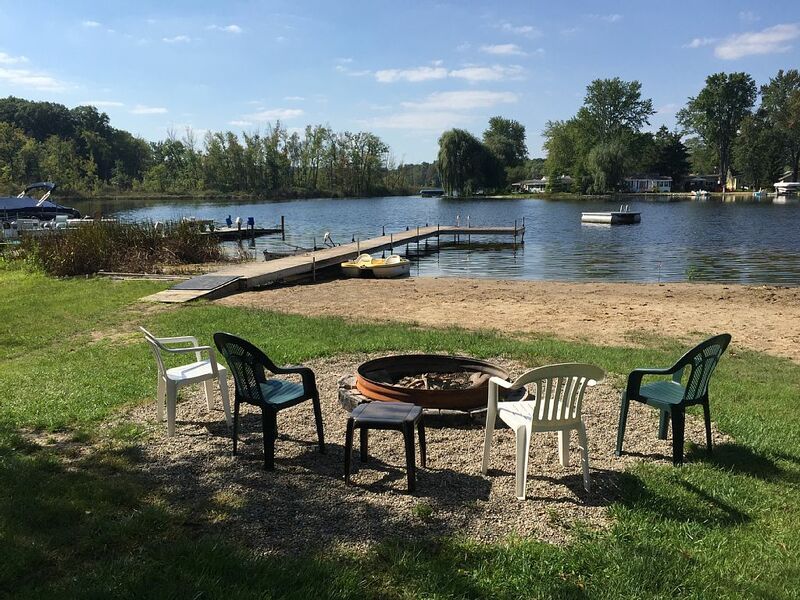 Enjoy the beautiful lake sunsets as you relax on the patio or enjoy a warm campfire as you gaze at the stars. Visit a local pub or explore the City of Ann Arbor just 25 miles to the Southeast. The towns of Chelsea, Dexter and Pinckney are all within 15 minutes. Perched high on the East shore of Halfmoon Lake in the heart of the Pickney recreation area, Harper's Guest House is the perfect getaway for those looking to explore the many lakes, woods, trails and nature this area has to offer. 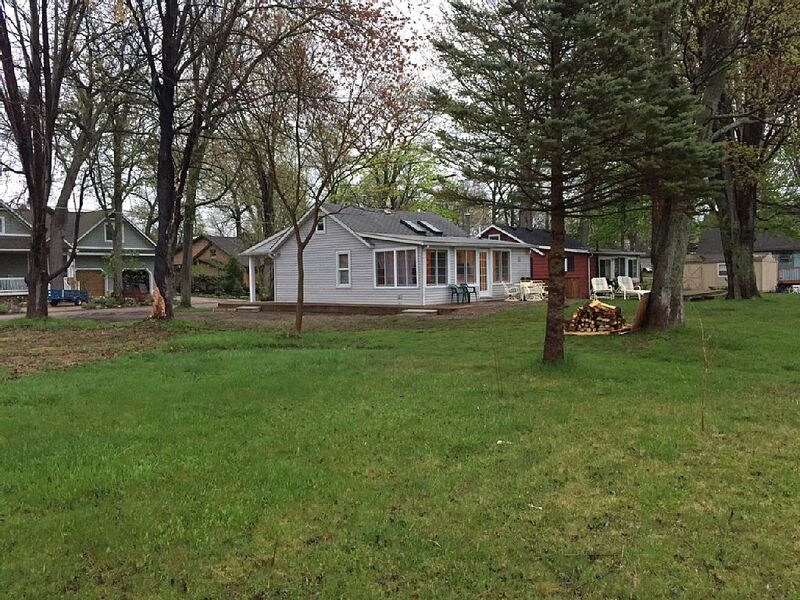 The cottage sits within 1/8 mile of Halfmoon State Park, offering a beautiful swimming beach and boat launch. Halfmoon Lake is an all sports lake connected to six other lakes by navigable channels. 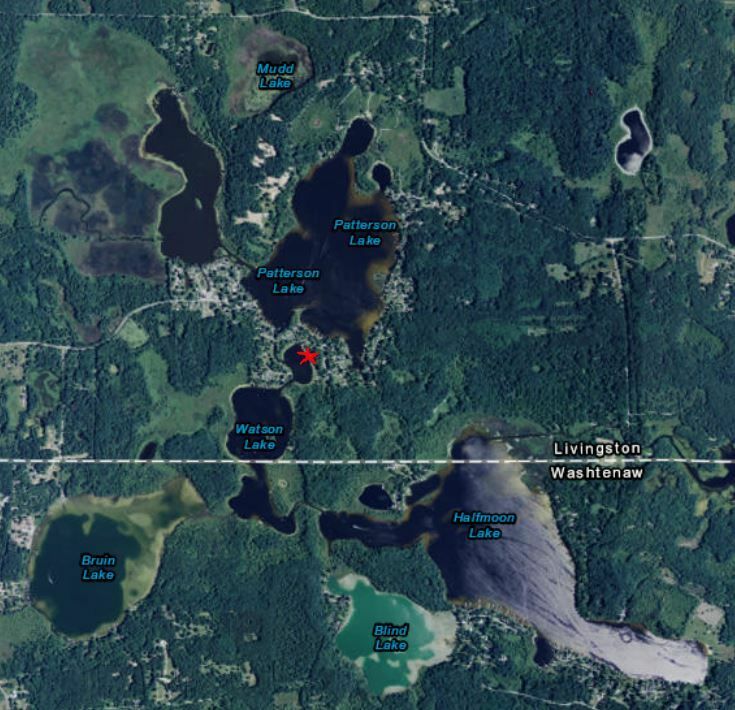 Connected lakes include Bruin Lake which hosts a state park camp ground, Patterson Lake and Highland Lake located in Hell, MI. 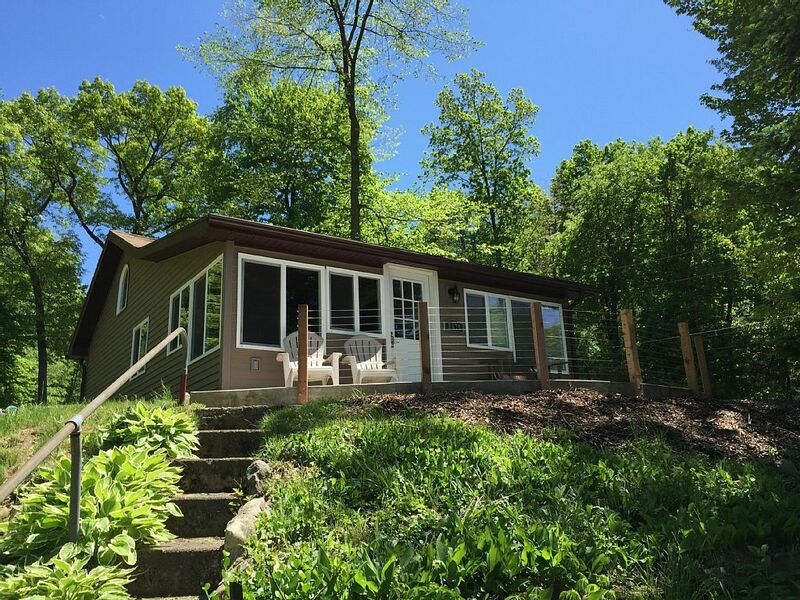 Angler's Cove is the perfect choice for those looking for a private piece of lakefront to swim, ski, fish and enjoy the thousands of acres of State forest land this area has to offer. 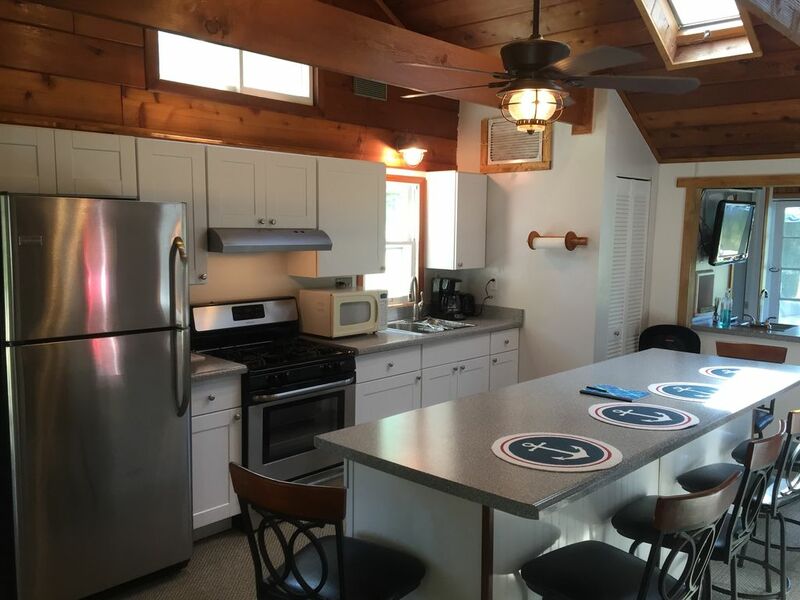 The cottage sits on Round Lake, which is a small, quiet, no-wake lake connected to seven all sports lakes by navigable channels. 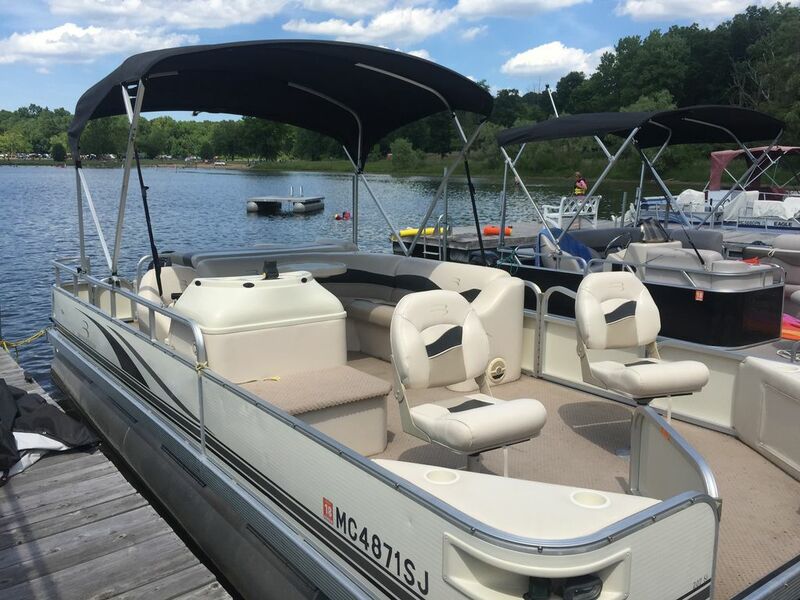 Connected lakes include Halfmoon Lake with a public swimming beach and boat launch, Bruin Lake which hosts a state park camp ground, Patterson Lake and Hi-land Lake located in Hell, Mi.